Genomic testing has become an integral part of the diagnostic workup of colorectal carcinoma, as it provides guidance for prognosis, therapy, and inherited susceptibility. Currently, the main targets of molecular diagnostic testing in colorectal cancer include evaluations for mismatch repair deficiency (dMMR) and EGFR pathway alterations. Next-generation sequencing is a major advance in this field and will likely replace the numerous single-gene assays used today. This technique can efficiently and cost-effectively evaluate microsatellite instability, tumor mutational burden, Lynch syndrome, EGFR biomarkers, and biomarkers for clinical trials and provide a mutational template for circulating tumor DNA (ctDNA). 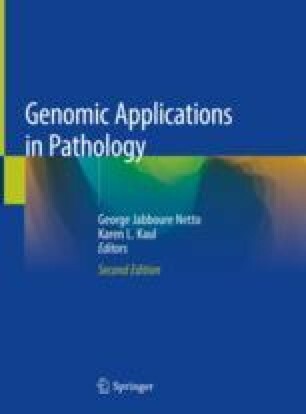 The new paradigm may eventually be “upfront” NGS testing of all colorectal cancers at the time of diagnosis or resection, followed by ctDNA for evaluating tumor heterogeneity, risk of recurrence, detection of progression (“liquid imaging”), and the development of resistance mutations.